Welcome to the Thrifty Little Mom shop! Overtime I've created resources to help overwhelmed women CONQUER their, time, money and goals! You'll find all my workbooks, printables, eBooks and traditionally published books here! Thank you for supporting my family of 5! 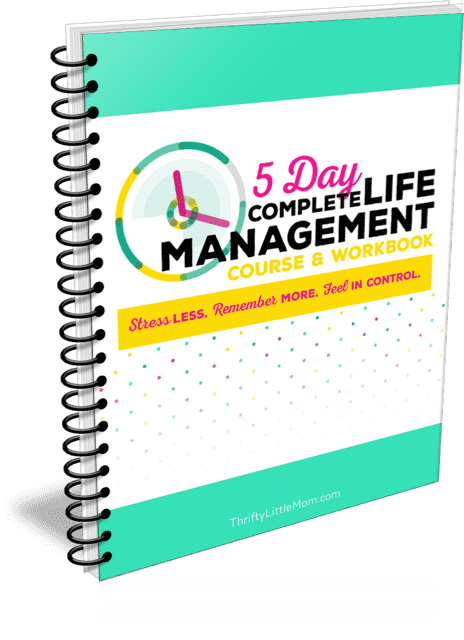 Ready to get your life management together in just 5 Days? Stress Less: Stop feeling like you are rushed, behind and barely keeping your head above water in your day to day life. Remember More: Stop forgetting important tasks, appointments and assignments. Never forget another lunchbox, project, sport bag or backpack! Feel In Control. No more being late. No more "I don't know what to make for dinner". No more trying to be everything to everyone. No more rushing around the house last minute trying to find your kids soccer gear. This course will help you get in the drivers seat of life and pursue the things most important to you! Includes individualized workbook with printables and step-by-step application. 3 of my best digital and printable products all bundled together! ORDER YOUR PHYSICAL, DIGITAL or AUDIO copy today! FYI- This contains affiliate links. If you click the link & make a purchase, I ﻿﻿receive﻿﻿ a small commission. When life feels like a perpetual treadmill rather than a grand adventure, you know something is off. As bills increase, income decreases, and the stock market wavers unreliably, you have to figure out how to live with the money you have rather than wish you had. 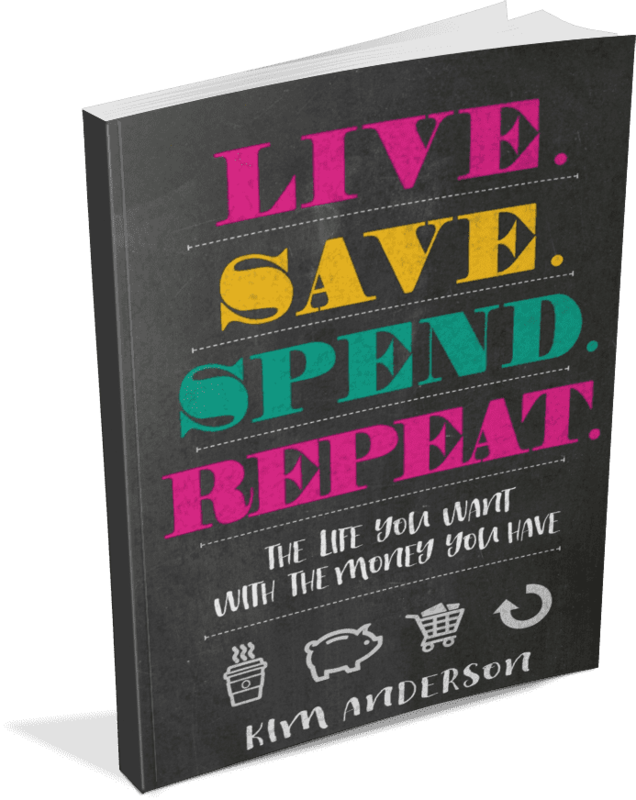 Kim Anderson—whose blog, Thrifty Little Mom, has been featured on Time.com, Money.com, and GoodHousekeeping.com—offers a simple-to-implement plan that merges your unique life goals with your money. Using scientific research, personal stories, and Scripture, Kim helps you make strategic money moves that will build your confidence in your current financial standing and pave the way to achieving your most meaningful dreams. Move beyond the last-minute scramble and the daily grind. Instead, embrace life's adventure and spend without regrets as you learn how to manage your money—starting today. FYI- This is an Amazon Affiliate link. If you click the link & make a purchase, I ﻿﻿receive﻿﻿ a small commission. Being a stay at home spouse can be a harder job than it seems. It’s a balance of cleaning, organizing, budgeting, saving and making time for what matters most. 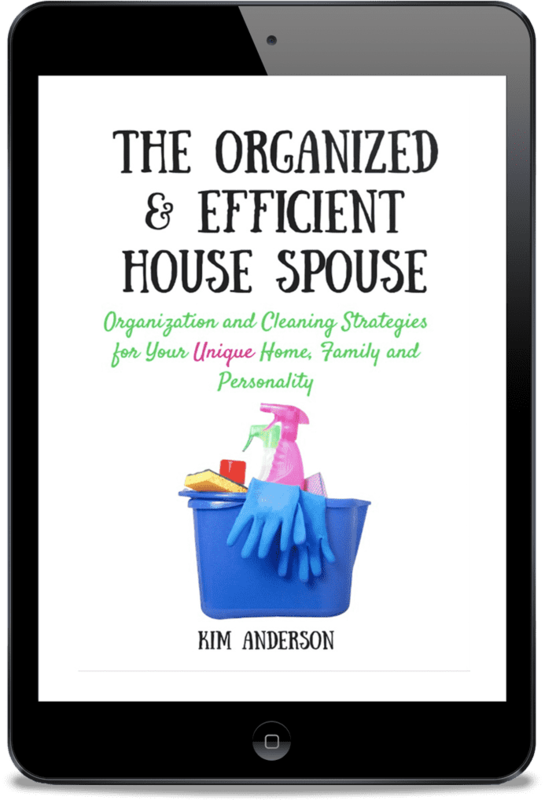 If you are a stay home spouse, male or female, full time or part time and need a little direction in how to get more done in the time you have, this book is for you. You’ll get information on organizing your home, your finances, and your family life. We are all striving to “get it all done” and this book can help you get there with simple tips and tricks that you can add to your own personal toolbox. 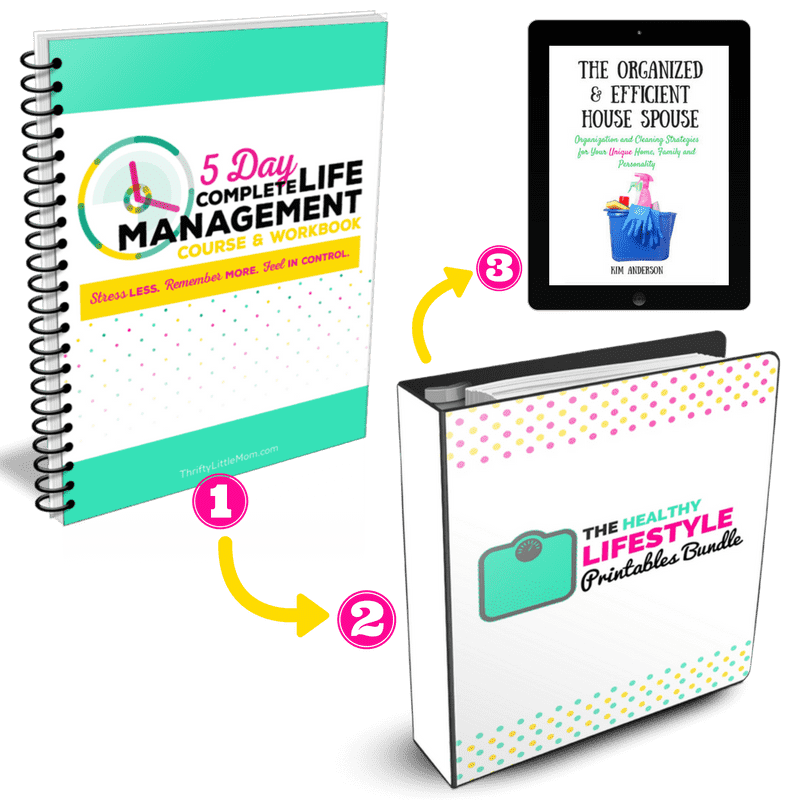 The book is designed to provide information that you can use and manipulate to best fit into your own stay at home lifestyle. You will find diagrams, samples and access to a variety of free printable charts. The truth is, the only way to make changes is to make ones that best fit with your creature habits. Stop fighting your personality and start working with it to become a house spouse that gets more done. ​Available in a downloadable PDF or you can get he digital eBook to read on an eReader from Amazon.com. Need to get your blog writing, posting and content creation organized? This planner is for you! 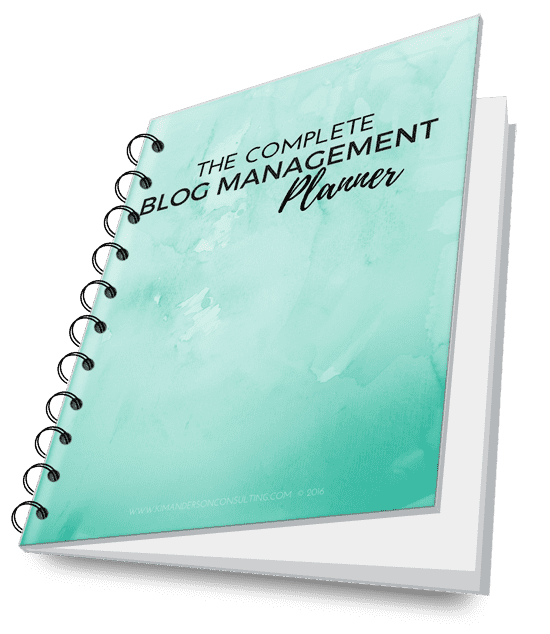 If you constantly feel like your blogging life is all over the place and you could use a good system for planning, organizing and remembering what you need to do on your blog each week, this printable Complete Blog Management Planner is the perfect solution.